Salt is the only edible rock in the diet of humans. When a volatile metal (sodium) mixes with a poisonous gas (chlorine) the resulting rock formed is what we know as salt. The ancient Romans gave this white rock its Latin name "salt." In centuries past salt was deemed as valuable as gold. Some even took to calling it "white gold." The ancient Romans built great roads, the first of which they called the Via Salaria (Salt Road), in order to transport salt throughout their kingdom. The words soldier and salary have their roots in the Latin word salt. The Roman soldiers were paid in measurements of salt, giving us the background for our English saying "That man is not worth his salt." The ancient Romans also labled someone in love salax, or a person "in a salted state, " giving us the origin of the English word salacious. Likewise, the Romans, like the ancient Egyptians, thought no food better than salted vegetables, thus our word salad. The importance of salt among ancient civilized agrarian nations cannot be overestimated. Vegetable growing civilizations existed before the Romans in places like China, Egypt and the Middle East (the Jews), and they all considered salt as important to life as water. City dwellers need rock salt, while nomadic carniverous hunters do not. Nomadic hunters receive all the sodium they needed through eating freshly killed meat. S.C. Gwynne in his book Empire of the Summer Moon describes how the native Comanche Indian children would "would rush up to a freshly killed animal, begging for its liver and gallbladder. They would then squirt the salty bile from the gallbladder onto the liver and eat it on the spot, warm and dripping blood." With the diets of nomadic hunters like the Comanches loaded with sodium from fresh animal blood and meat there was little need for supplementary rock salt. Salt is an abolute essential for the human body. The body grows weak and unable to resist disease when there is a sodium deficiency. The scientific knowledge of the chemical processes triggered by salt would not be discovered until the 20th century, but people instinctively and intuitively have known for centuries that salt acted as a medicine to the body. When agragraians settled into farm living and ceased their nomadic hunts, rock salt was needed to preserve meat. The rock salt used to preserve meat became the source of sodium the human body needed to sustain health. When salt was in short supply, it did not take long for people to succomb to death. Thousands of Napoleon's troops died during the French retreat from Moscow in 1812 due to poor wound healing and lowered disease resistance caused by their salt deficiencies. Just as the deer and other herbivores gravitate to salt licks, so humans intuitively understand their need for salt. The monetary value of salt increased throughout the world as time marched on, and during the height of the British Empire in the 1700's, England's control and financing of the world's salt supply became the means by which England's power was sustained. In the New World, salt was a precious commodity and colonial Americans either paid dearly for imported salt, or worked long hours to produce salt by boiling water obtained from brine wells, scraping the leftover salt from the bottom of the boiling pots, and storing the salt in salt sheds. After the American Revolution (1776-1783), the English blockaded trade with United States and this led to salt shortages throughout America. White gold became more scarce. One of the top priorities for the first three American Presidents--George Washington, Johna Adams, and Thomas Jefferson--was to increase the salt supply within the United States. President George Washington petitioned Congress to offer a treasury bonus of 33 cents per bushel to salt producers. Washington's successor John Adam's worked hard to increase salt production as well, but Thomas Jefferson did something even more amazing. Thomas Jefferson was elected the third President of the United States in 1800. On April 30, 1803 the United States purchased from France and Emperor Napoleon Bonaparte the Louisiana Territory for fifteen million dollars. This 828,000 square mile acquisition, land that encompassed all or part of fourteen future states, more than doubled the land size of the United States overnight. The price was only .4 cents per acre, but Jefferson's political opponents, mostly Federalists from northeastern states, were furious at the Democratic President for the Louisiana Purchase. They publicly castigated President Jefferson for purchasing this "vast desert," land mostly unknown and unexplored, and alleged the transaction was "unconstitutional" because Congress had not given their approval for the purchase. "One extraordinary fact, relative to salt, must not be omitted. There exists (within the Louisiana Territory), about one thousand miles up the Missouri, and not far from that river, a salt mountain.... This mountain is said to be one hundred and eighty miles long, and forty-five in width, composed of solid rock salt, without any trees, or even shrubs upon it. Salt springs are very numerous beneath the surface of this mountain, and they flow through the fissures and cavities of it." Jefferson was not intentionally deceiving the country. Reports from French and Spanish fur trappers from within the Louisiana Territory, as well as reports from Osage Indians, indicated that there did exist a mountain of salt within the land newly acquired by the United States. When President Jefferson secretly commissioned Lewis and Clark in late 1803 to explore the Louisiana Territory, his written orders did not include a search for this salt mountain, but it cannot be imagined that Lewis and Clark were not verbally told by the President to search for it, nor could the explorers have been unexcited by the prospects of its discovery. Were they to find it they could lay claim to a vast treasure of rock as valuable as gold. Two and a half years later, upon Lewis' and Clark's return to civilization, a gala dinner was held in Washington D.C. in honor of the valiant explorers. Pro-Federalist newspapers ridiculed Jefferson again. A Massachusetts paper reminded its readers of the speech Jefferson had given to Congress in November 1803 and then gleefully, if not sarcistically, reported on the speech that Lewis gave at the banquet: "We do not learn that he (Lewis) confirms the account given by the president a few years since, of the huge mountain of salt, therefore we conclude it has dissolved." Thomas Jefferson left the office of President of the United States in March 1809. He would die on July 4, 1825. During the intervening fourteen years President Jefferson would correspond with friends on the American frontier regarding the Louisiana Purchase, claiming toward the end of his life it was the most significant accomplishment of his Presidency. In some of his early letters upon leaving the Presidency, Jefferson urged a few of his explorer friends to continue searching for the elusive mountain of salt. One of those with whom Jefferson corresponded was his good friend John Sibley, father of Indian agent and American explorer George Champlin Sibley of Fort Osage on the Missouri River. John Sibley would in turn correspond with his son regarding the unknown Louisian territory that lay just to the west of Fort Osage, including the possibility of a great salt mountain. Major George C. Sibley had been appointed by Thomas Jefferson as the head Indian trader and factor at the newly opened Fort Osage in 1808. This fort had been the second U.S. frontier outpost constructed following Jefferson's Louisiana Purchase. The fort was built on a bluff overlooking the Missouri River just east of present day Kansas City. Fort Osage would become the important jumping off point for explorers who were heading west. In 1810 correspondence with former President Thomas Jefferson, Major Sibley began considering an attempt to explore the rumors that the much discussed mountain of salt was actually quite far south of the Missouri River. Major George C. Sibley was a Christian man who loved logic and possessed a rational faith. He grew up in the home of his maternal grandfather, the famous Puritan Congregational minister Samuel Hopkins. Sibley's great uncle was theologian Jonathan Edwards. Major Sibley's Christian faith would have been comprised of consistent Calvinism, meaning Sibley believed that God had a purpose for his life, and that God would fulfill that purpose through providential goodness and supernatural guidance. Major George C. Sibley would discover Jefferson's elusive mountain of salt during a sixty day exploratory journey that historians now call Sibley's Expedition. Major Sibley set out from Fort Osage on May 11, 1811 with one of his goals being the discovery of the rumored mountain of salt. Sibley's traveling companions included two other white men who acted as interpretors and several Osage Indians who served as guides. Sibley first led his party of interpreters and Osage Indians to a Kansa village on the Kansas River near present day Manhattan, Kansas. The group proceeded further north and met with some Pawnee Indians on the Platte River. Sibley's expedition then journeyed south at a rapid pace, finally stopping at some Osage Indian villages near the Arkansas River in what is now northern Oklahoma. From here, Sibley led his party to take a brief excursion to the west. It was on this brief trip through northwestern Oklahoma in June of 1811 that Major George Champlin Sibley discovered what the Indians and French traders had long spoken of and what had become known as "Jefferson's mountain of salt." Along the Salt Fork River, a tributary of the Arkansas River, Major Sibley came across 11,000 acres of land that gleamed in mid-day with a shimmering white brilliance. Major Sibley called it "The Grand Saline." It later came to be called "The Great Salt Plains." Sibley wrote in his journal that he was impressed by the vast sheets of salt that glistened "like a brilliant field of snow" and by rocks of salt sixteen inches thick, Sibley also reported that there was in an "inexhaustible store of ready made salt" just waiting to enter "into channels of commerce." Major Sibley had struck gold. Thomas Jefferson's "Mountain of Salt" had been found. The mountain, however, was a "plain of salt." It it is possible that Jefferson's understanding of a literal "mountain" was an unfortunate translation of what the Indians and French allegorically called "a mountain (massive amount) of salt." Or, it could be the actual "Mountain" of salt was the bluff that Sibley discovered further west of the Great Salt Plains during the same excursion. The bluff, on the south side of the Cimarron River near the mouth of the Buffalo River, overlooked great deposits of rock salt that could be found just underneath the surface of dry river bed. Though there was no literal "mountain" of salt, Sibley was excited by his discovery of the vast storehouses of salt. He wrote to his father in 1811 detailing his wonderful find, and his father forwarded the information to Thomas Jefferson. For the next century, the Great Salt Plains acted as a magnet for settlers and entrepreneurs, with wagon loads of salt being extracted from the plains for resale to others. 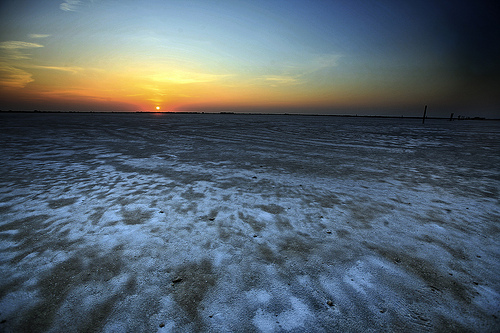 The commercial success of the Great Salt Plains was limited by its location in the heart of Comancheria. Any white man who detoured from the Santa Fe trail or other east/west trails to obtain the valuable salt at faced constant Plainsmen Indian attacks. Even so, many wagon trains risked the danger of Indian attack and made their way to the Great Salt Plain to load up on valuable salt. A few attempted to construct a commercial saltwork, including Nathan Boone (Daniel Boone's youngest son) in 1843, but the isolation and risks associated with living on the Indian controlled plains made short order of all such attempts. For centuries the native Indians themselves had fought wars over the Great Salt Plains of northwestern Oklahoma. The Indians deemed rock salt "medicine" and refused to eat any meat sprinkled with rock salt. The Plainsmen Indians, who were all nomadic hunters, preferred their meat fresh and raw. The Indians treasured the Great Salt Plains for a different reason. The lands around the Salt Plains teemed with deer, bear, buffalo, elk, and other game. 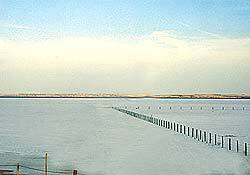 The Great Salt Plains acted as a natural salt lick for the animals, and nomadic Indians made this area part of their yearly hunting grounds. Twenty-five years after Major Sibley discovered the Great Salt Plains, the federal government gave to the Cherokee Indians, one of the tribes the U.S. forcibly moved from the east into "Indian Territory," a claim for all the land that surrounded the Great Salt Plains, land that became known as "The Cherokee Outlet." The Outlet was to provide the Cherokees "an outlet to the hunting grounds of the west." However, the U.S. government excluded from Cherokee possession the thousands of acres of salt in the middle of the Cheroke Outlet. The United States government specifically stated in treaties with the Cherokees that saline areas were to remain accessible for use by other tribes. The official position of the U.S. government regarding Indian possession and use of the Great Salt Plains was recorded as follows: "The right is reserved to the United States to allow other tribes of red men to get salt on the Great Salt Plains in common with the Cherokee Tribe." Indian bloodshed played a part in the history of the Great Salt Plains both before and after Sibley's discovery. Because of the excellent hunting around the natural salt licks, any tribe that controlled the Great Salt Plains had to contend with intrusions by other tribes. Fierce intertribal Indian battles raged over control of the Great Salt Plains, and the white man's discovery of Jefferson's "mountain of salt" did little to reduce this violence and bloodshed. One of the Indian tribes that regularly hunted the Great Salt Plains was the Comanches, and the Comanches fought all other Indian tribes, including the Cherokees, for control of the Great Salt Plains. Cynthia Ann Parker was a nine year old daughter of a Baptist preacher in Texas when she was kidnapped by Comanche Indians on May 19, 1836 at Fort Parker, thirty miles east of present Waco, Texas. For the next twenty five years Cynthia would live among the Comanches, eventually assimilating her entire life to the ways of the Comanches. Cynthia married Peta Nocona, a Comanche brave, and she gave to him three children, one of whom was a son they named Quanah. Quanah Parker would become the last great chief of the Comanche Indians. 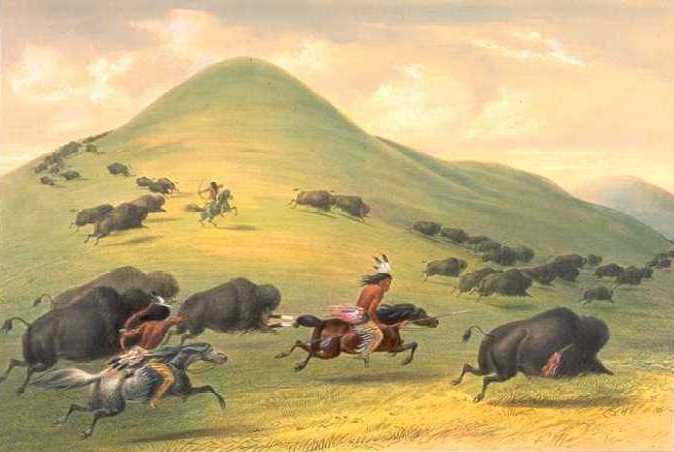 Quanah remembers how his entire tribe, including his Comanche father, his white mother, and his two siblings would settle for months near the Great Salt Plains as they hunted the roving plains buffalo and other game. Again, it was the presence of the fierce Plainsmen warriors and the isolation from other civilization that kept the Great Salt Plains from becoming a great commerical enterprise in the 1800's for the white man. Salt is no longer as valuable as it once was. The process by which salt is produced has been refined, and the world's supply and distribution of salt is no longer limited by technology or travel. For that reason, the modern reader may not understand the historical significance of Jefferson's "mountain of salt." 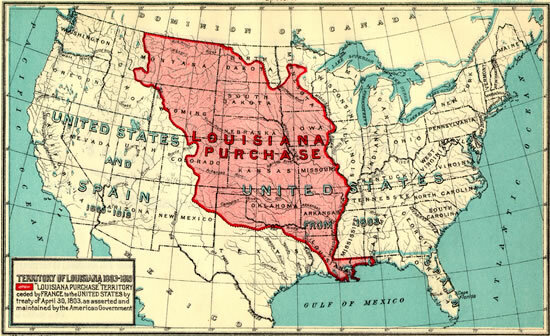 Whose to say how much of a role the prospects of discovering such a vast and valuable treasure within the Louisiana Territory played in Congress eventually ratifying the Louisiana Purchase? George C. Sibley's 1811 discovery of the Great Salt Plains gave to Jefferson a sense of personal vindication, and though there are hundreds of other reasons why the modern American would echo Jefferson's opinion that the Louisiana Purchase was Jefferson's greatest presidential accomplishment, the Great Salt Plains takes its place besides other national landmarks of historical significance in the colorful history and exploration of the Louisiana Purchase. 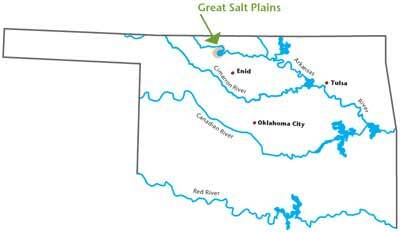 For those of you who have never had the privilege of traveling just a few miles north and west of Enid, Oklahoma to see the Great Salt Plains for yourself, it would well be worth the day trip to enjoy one of the natural wonders of the great state of Oklahoma. In our age of radical skepticism within intellectual establishments regarding the death of Jesus Christ at Calvary, and the absolute abandonment by many of the concept of substitutionary atonement, it would be helpful for every Christian to be reminded of why the sufferings of Christ at Calvary are deemed so important from a biblical perspective. I received an email from someone who read my blog regarding my time in jail in Mexico, and he wrote that "I was captivated by the story until you started speaking of the conversion of your cell mate." Then, the writer said, "your emphasis on Christ and the the prisoner's 'conversion' to faith in Christ caused me to lose all interest." I appreciate my pen partner's honesty. Unfortunately, the gentleman who wrote me that letter is at odds with His Creator. In short, he has insulted God. He has called unlovely what God calls lovely. It is like someone ridiculing an artist's masterpiece. You may enjoy the freedom to share your opinion, but don't expect to be friends with the artist. In like manner, God gives every man the freedom to ridicule the death of His Son, but don't expect God to be friends with the person who finds tasteless what God finds incredibly delightful. Let me show you what I mean. Hebrews 2:10 says, "For it was fitting for Him (God), for whom are all things, and through whom are all things, in bringing many sons to glory, to perfect the Captain of their salvation (Jesus) through sufferings." This verse says that the sufferings of Christ at Calvary were "fitting for" God (NAS) or "becoming to" God (KJV). 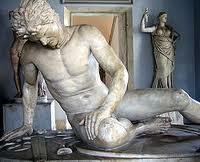 The little phrase "fitting for Him" (NAS) translates the Greek phrase eprepen autoi. Without going into the interesting etymology of the word "eprepen," it is sufficient to illustrate the use of this rare biblical word with modern illustrations using the English translation. To say something is "fitting" or "becoming" to a person means that it represents what the person likes, or who a person is. For example, my wife Rachelle is a very classy lady. She has her hair cut (see picture above) in a very "fitting" or "becoming" style for her, at least in my opinion. The Bible says that it was "fitting" or "becoming" for God that the Son, Jesus Christ, would be made perfect through His sufferings at the cross. The cross represents the gracious character of God, in that He sent His Son Christ to suffer all the legal penalties of God's law, for His people, in order that Jesus might be the Captain of our salvation and bring "man sons to glory (heaven)." In other words, God is very well pleased with the the sufferings of Christ at Calvary. It is something beautiful for Him. The substitutionary death of Jesus Christ at Calvary is "fitting" and "becoming" to God. To ridicule the need for the death of Christ, or to abandon the concept of atonement as a relic of a tasteless or crude religion, or to find the sufferings of Christ at Calvary irrelevant to faith in God is to mock the very thing that God finds "fitting," "becoming," and beautiful. It would be similar to you insulting my classy wife by making fun of her hair cut. The difference is the consequence for anyone insulting God by rejecting the cross at Calvary, the very thing that represents His character and He considers intensely beautiful, is far more severe than any insult of my wife. When you reject Calvary, you insult God. What If the Trials of This Life, the Rain, the Storms, the Sleepless Nights, Are Your Mercies in Disguise? Rachelle and I arrived home at 1:00 a.m. this morning after one of the most difficult weeks of our lives. Many of you have read about my experience in a Mexican jail and have sent notes of encouragement. I appreciate all your prayers and words of support. The experience was particularly hard on Rachelle and the three kids who found themselves on the cruise ship for six days in the Caribbean without Boe or me. They spent many hours not knowing where I was being held or how I was being treated, and of course, they were worried for Boe as he tried coordinate arrangements to get me out of jail. 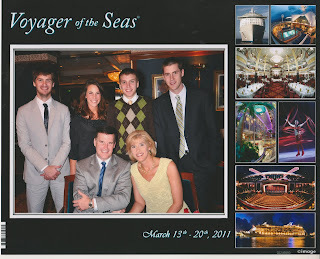 The greatest disappointment for all the Burlesons was being unable to reconnect as a family before the cruise ended on Sunday (March 20, 2011). Boe and I met the rest of the family when they docked in Galveston yesterday morning and drove them the ten hours home. A simple plea for those of you considering renting a vehicle in a foreign port when on a family cruise. Don't. I should have listened to my wife and I have paid a heavy financial price for not heeding her counsel. I assumed the Mexican premium full coverage insurance that I purchased for the jeep in Cazumel protected me financially. It did not. When you are in an injury accident, you find yourself at the mercy of the Mexican police, the court system and the families of the injured victims. If--or when--you get out of jail is dependent upon how much money you are willing to pay. Mexican law says you must settle in cash with family members of the injured victims for their "lost wages" before you are released. If you cannot come to an agreement, the Mexican insurance company, after you have spent a few days in jail, will go before a Mexican judge and post your bond. Then you are free to "flee" the country as a fugitive. I was told that American tourists do that all the time. It's one of the reasons the car insurance company wants you to settle in cash with the families. They have a vested interest in not losing their bond money. I was surprised when the original offer I made to the families, suggested by the car insurance company representative, was rejected. I was further surprised when I doubled the amount I offered and it, too, was rejected. The families came back with a counter offer that was nearly ten times more than what the insurance company deemed fair for me to pay. I genuinely wished to settle with the families, but I could not pay what they were demanding. What baffled me was the rough treatment I received from the Mexican police when I could not reach a settlement. 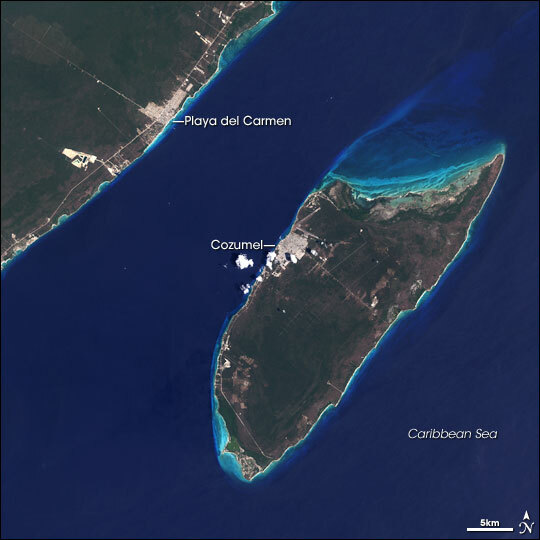 The American Consulate representative told me that about three times a year an American tourist is involved in an injury traffic accident in Cozumel where jail time is spent because an agreement on the amount of cash to be paid could not be reached. 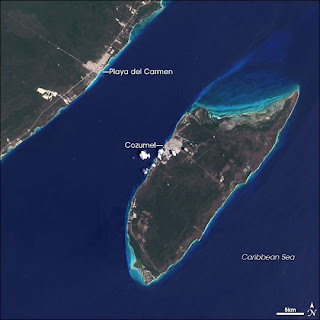 In those cases, the tourist stays in the jail cell at the tourist police station or a cell at the Cozumel District Attorney's office until the preliminary hearing before a Mexican judge where bond is then posted by the Mexican insurance company. Heaven forbid no insurance was purchased by the American. In that situation, the tourist stays in jail until he pays in cash, in full, what is demanded by the Mexican courts. I had the premium insurance. I was able to get access to cash. I just could not agree on the amount I should pay. What surprised me is where the Mexican police took me when an agreement could not be reached. I was moved into the criminal prison system of Mexico. Worse, the Mexican police went to the criminal jail and picked up a muscle-bound prisoner with tattoos of the devil stitched over his body, and brought him back to the tourist police station for the sole purpose of handcuffing him to me. Then, in a procession worthy of the ancient Roman emperors' victory marches through the streets of Rome after foreign conquests, the Mexican police marched their handcuffed prisoner out of the police station, by the families of the victims, and into the backseat of the waiting police car in order to transport me to the Mexican criminal jail in Cozumel. The Royal Caribbean representatives with me, the port authorities, the American Consulate representatives and my son all believe it was an attempt to soften me up to pay what was being asked. When you are in a Mexican criminal jail it is up to your family on the outside to feed you, or you must bum food and water off of other prisoners. If you have no family to assist you, you don't eat and you don't drink for you have no water. I asked for water from the jailers and they said it was for them, not the prisoners. I went over 24 hours without food or drink. Because people were pressuring Mexico on my behalf, I only stayed a few days in Mexico. I have a deep empathy for those not as connected as I with the outside world. The condition of the jail cell I was in was not fit for a dog - seriously. Spiders crawling over the walls, ant trails that I tried to avoid but soon passed the time by watching the ants cross my shirt as if I was part of the wall. I had no blanket, no pillow, no lights in the cell. There was nothing but a concrete toilet and a concrete bed that slept one, but the jail cell had two people in it. Feces and urine stains were everywhere and the stench made you want to vomit. The graffitti on the walls that could be reached with human hands made the walls black - above the reach of the human hand the walls seemed white by the moonlight. There was trash everywhere. In twenty years of service to American tourists in Cozumel, the American consulate agent had never seen the jail to which I was taken. Again, I honestly believe, though I cannot prove it, that I was chosen for the special treatment because somebody had been bribed to rough me up in order to soften me up. In other words, it was believed that just a few hours in that Mexican jail would convince me to pay the families and the police what was being demanded. Of course, what happened in that jail cell between me and that tatted up prisoner is one of the most moving experiences I have ever had in my life. I have not gone into a great amount of detail about Alan's conversion to faith in Christ, but I plan to tell the specifics of the story to the people of Emmanuel this Sunday. I am a cynic by nature, so I empathise with those who think the story of Alan's conversion is grandiose and discount it as an alleged jailhouse conversion. All I can say is my words will not--cannot--do justice to what actually happened. The truth is far more incredulous than anything I could ever make up. It's like I could visibly see and physically feel the forces of darkness lining up for battle to keep possession of Alan's soul. The gates of hell did not prevail. 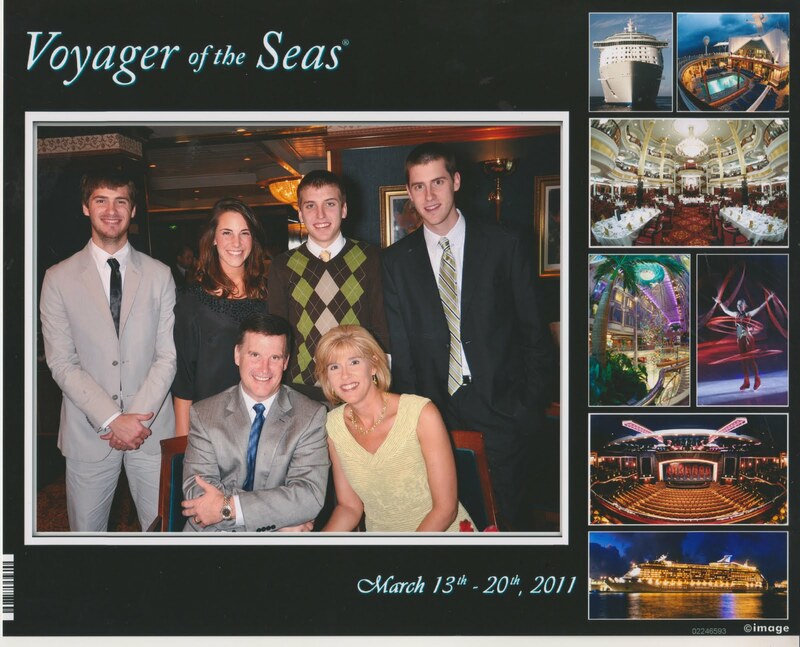 The picture above was taken of my family on Monday night, March 14, 2011, the night before the accident. Boe and I returned to the United States from Cozumel late Thursday, March 17, 2011, arriving at George Bush International still wearing our swimsuits, t-shirts and sandals from Tuesday. Since my release I have learned that the Royal Caribbean Cruise line has issued a company wide order that employees are now forbidden to rent vehicles when in foreign ports. My wife was informed on the cruise ship that the order went into effect last Thursday after representatives of the cruise line saw what happened to me at Cozumel. Good for them. "What if trials of this life--the rain, the storms, the hardest nights--are Your mercies in disguise?" "You will die in your sins; for unless you believe that I AM, you will die in your sins." (John 8:24). Those who deny the deity of Jesus Christ have no alternative but to call Jesus a liar if they wish to continue in their beliefs. Jesus called Himself the "I AM," which is the meaning of the Hebrew holy name for God (YHWH). YHWH is translated Jehovah in English. Jesus declares, "Unless you believe that I AM (Jehovah God), you will die in your sins." In short, the only deliverance that you and I have from the just judgment due our disobedience to God is to trust that God provided purification for our sins at the cross (Hebrews 1:3). There is no escape from God's just judgment but through the person of Jesus Christ. 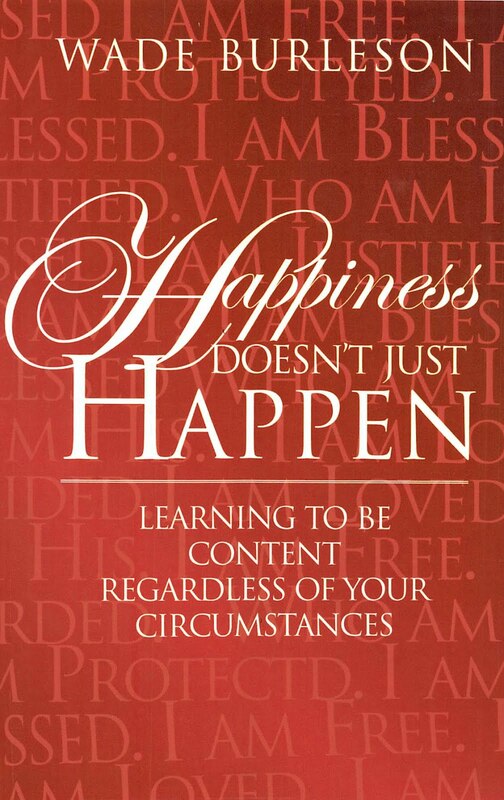 Without faith in Him, it is impossible for God to be pleased with us. We must embrace the Son, or the judgment of God abides upon us. The popular Rob Bell is being called a "universalist" by many based upon his new book Love Wins. 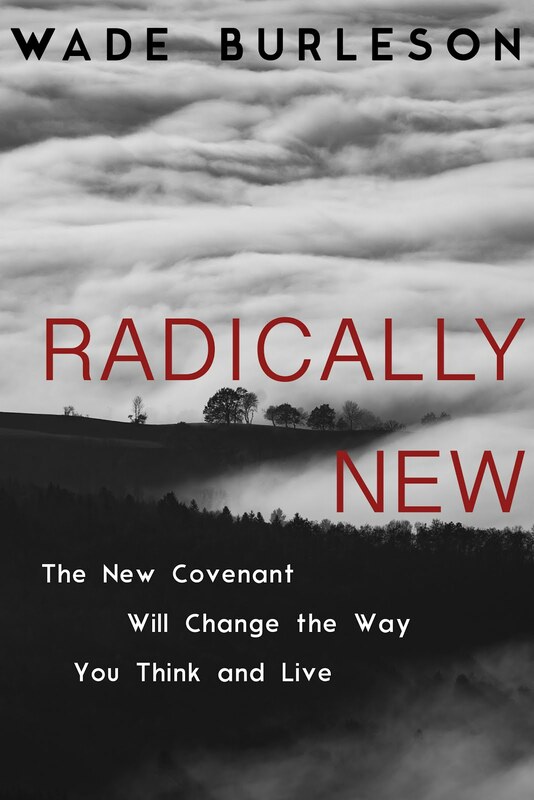 Whether Rob Bell is a universalist is a question that may be open for debate, but if he declares himself one, then he will join a small list of evangelicals throughout Christian history who eventually turned to universalism. 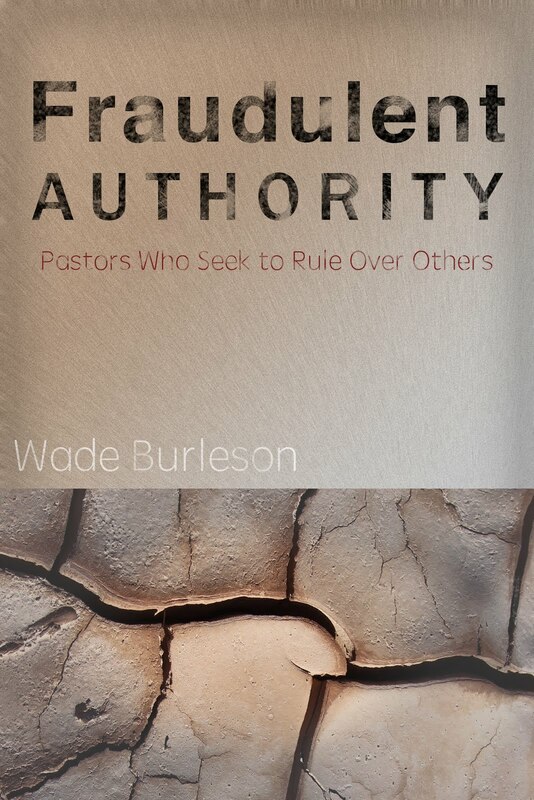 Most lists of alleged universalists are fraudulent in nature. Jesus was most assuredly not a universalist (see John 8:24). To be a universal redemptionist you must believe that sometime after death there is the restoration of men and women who have "died in their sins." In other words, sinners who die in their sins will eventually come to the place where they see the Person of Jesus Christ for who He is, and trust Him. To embrace universalism you must conclude that God gives sinners the ability after death to embrace His Son. There is absolutely not one shred of evidence in Scripture that this "after death" opportunity is provided. The best any universalist can say is that he is a "hopeful universalist." In other words, he is "hoping" that God provides an opportunity for those who "die in their sins" to see the beauty and glory of the "I AM" (Jehovah) in Jesus Christ. If God chooses to give those sinners who die in their sins an opportunity to trust Him after death, so be it. But the universal problem with universal salvation is that hopeful universalists are placing a wager that God will do something He has never declared He will do. The odds are better in Vegas.